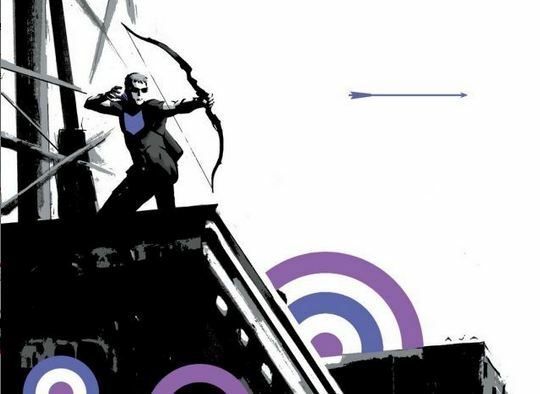 I picked up Hawkeye issue #1 (written by Matt Fraction and art by David Aja) this week after being inspired by one of our readers last week in the comments of our Top Comics of 2012 post. I wasn’t sure I was going to like it, but I figured I would give it a shot. It ended up being a bull’s-eye and now, I can’t get enough of the famous Avenger and his crazy ways (or the adorable dog in the first issue). While I’m not 100% sure how to tell you about the story, I will say that it’s full of heart and action. We get to see a little bit of the kind of man Barton is and how much he cares for the people in his life. He seemed to have this “I don’t care” attitude when it came to doing what he wanted, even if it meant painful consequences for him in the end. After everything he goes through in this issue though, it has a happy and touching ending. I guess this means I have one more series to look forward to every month, because this issue has me sold. I recommended Gunnerkrigg Court back in August, after checking out the book compilations of this webcomic by Tom Siddell. The story is about Antimony “Annie” Carver, a girl whose mother has died and father seems can’t be bothered to visit her in a very strange boarding school called Gunnerkrigg Court (where her parents also attended.) I’m now catching up on the webcomic, where the third book left off, and wow, Siddell has got a winner. The art keeps getting smoother and downright majestic, with some gorgeous pages, especially with Loki in the forest. The themes of nature verses science, technology verses magic are deep. The robots seem human, while the people can be monstrous. The animals may be demons, while ghosts and shadows are cute. We are slowly learning about this odd world, and the past of Annie’s parents, along with her. It is a funny, touching, and complex ride. I’ll be reading the up to date strips and commenting about them here, so take this week to catch up with me, either with the books or on the web. Daredevil is a grim character. Or, at least, he has been for much of the past two decades. The blind superhero aka lawyer, Matt Murdock, has had his secret identity revealed, his wife driven insane, and was taken over by supernatural assassins, among other events since year 2000. Even though Waid is one of my favorite writers, I wasn’t sure I wanted to jump on board with such a tragic character. No worries. Waid brings the swashbuckling Man Without Fear back to Daredevil’s story. While Matt acknowledges in story that there’s darkness running through his life, he’s determined to find the joy in it and so is this book. He struggles in the courtroom as everyone assumes he’s Daredevil, scenes that are written with wry humor, and tackles assassins while protecting a client who is also visually impaired. I never thought anyone could match Alex Maleev’s moody artwork on Daredevil but Paola Rivera’s art (inked by Joe Rivera) succeeds by going in a completely different direction, using visuals to show exactly how differently Matt Murdock sees the world through his enhanced other senses. I’ve peeked ahead at the stories for volume two and saw Daredevil’s headless body walking around while his head played mind games with his transdimensional captor. This series is a total win.